Whether your pet is a pedigree show animal or a lovable mutt, you’ll want to show him off at his absolute finest. Regular grooming sessions with your dog ensures a healthy, shiny coat, good skin and a happy pup-persona. Here are the must-have grooming kits, tools and accessories to keep your pooch looking great and smelling divine. One of the most important aspects of grooming is keeping your dog’s nails neat and trim. 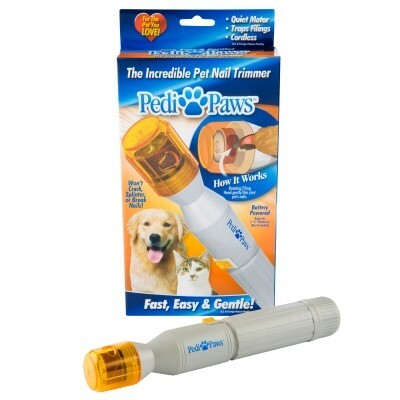 The PediPaws grooming kit makes the task of trimming nails fast, painless and mess free! The precision wheel gently files away layers of nail, so you won’t have to snip the nail and risk going too deep – and the ingenious built-in catch means there’s no filings or clippings to clean up afterwards. Protect your furniture and your clothes while keeping your pet’s paws touchably soft and your pooch happy. Get the PediPaws Grooming Kit here. If pet hair is your arch enemy, have we got a tool for you. The FURminator deShedding Tool dramatically reduces excess hair and minimizes shedding as well as reduces hairballs in cats. The unique design gets deep into the undercoat to remove loose hair while keeping the top coat slick and smooth. There are a range of sizes, from small cats to large dogs. You won’t believe the difference. Try it with the FURminator shampoo range as well. Get the FURminator deShedding Grooming Tool here. The unique Kong Raspberry ZoomGroom is a great way to keep your dog’s coat looking shiny and healthy between grooming sessions. The unique design removes unwanted hair and the soft massaging teeth stimulate blood flow and encourage natural oil production in your dog’s skin. It works wonders with your favourite dog shampoo to work up a beautiful rich lather. Choose from the ever popular raspberry, purple cat or one of many other assorted colors. 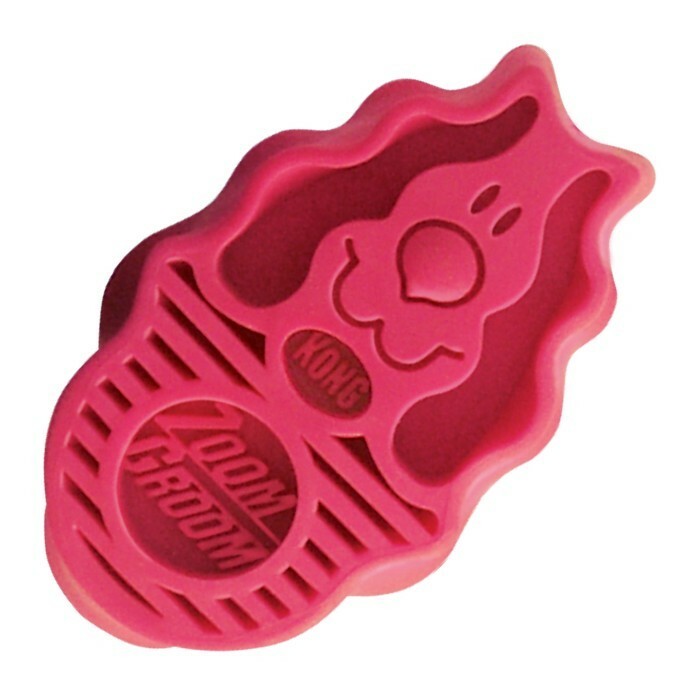 Get the Kong Raspberry ZoomGroom here. For professional grooming results at home, we recommend the Wahl Pro Series Clippers for full body clipping or regular touch ups between visits. The cordless rechargeable clipper allows for easy maneuvering and with a rotary speed of up to 6000 strokes per minute, you’ll be done in a jiffy. It comes with an array of colourful attachments lengths so you can choose the best look for your pet. It also comes with special cleaning instructions to ensure you get the most from your investment. Includes DVD instructions and tips. 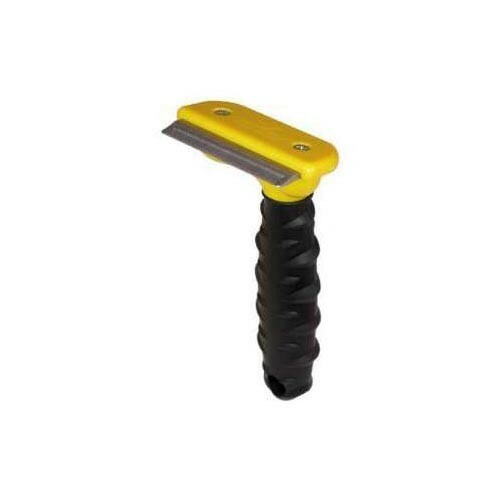 Get Wahl Pro Series Rechargeable Clippers here. 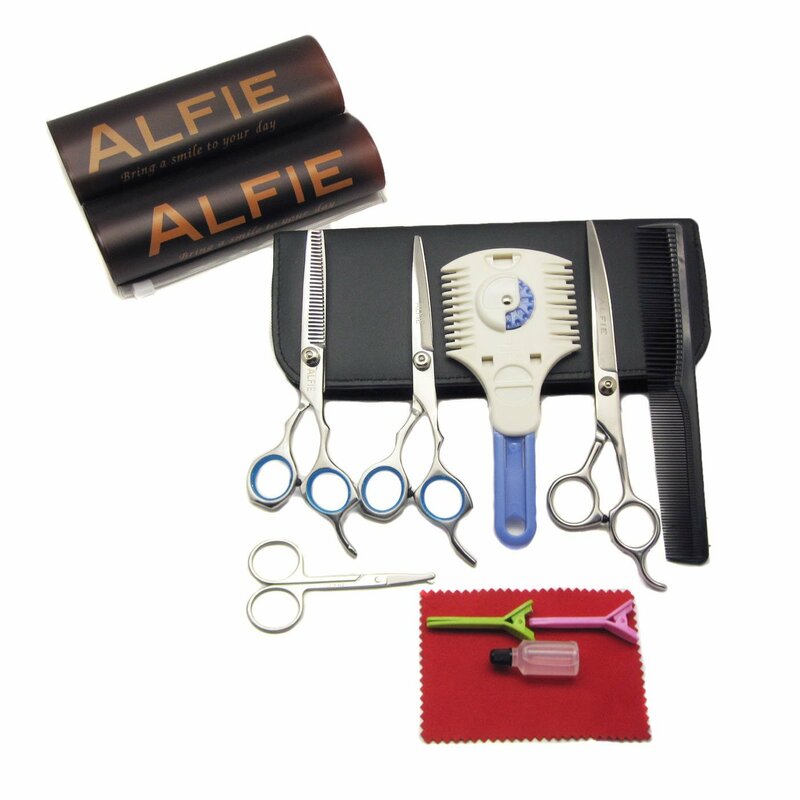 This beautiful 10 piece grooming kit from Alfie includes everything you need for home grooming, from curved scissors anc thinning shears to a professional grade grooming comb and razor trimmer. Remove tangled hair and mats with ease while shaping. Finally, give your pet’s coat a professional finish with the special round-tip trimming shears. The kit also includes everything you need for maintenance, including a cleaning cloth and lubricant. Master the art of pet styling at home! 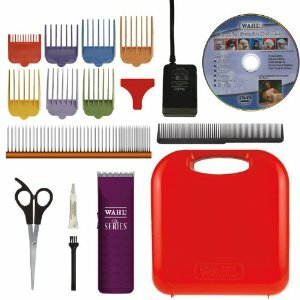 Get Alfie 10 Piece Pet Home Grooming Kit here. Have you tried one of these products? Let us know your thoughts below! I have often heard that Furminator has some really great grooming tools! Thanks for your honest review. They seem comfortable enough to handle, which is great, because a grooming session takes quite a lot of time. Aside from that, these tools seem sturdy.